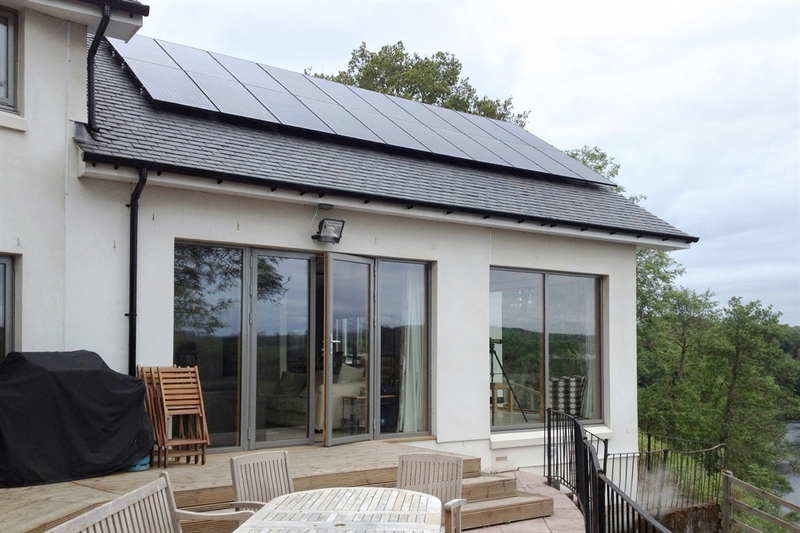 Horsey Reach offers two very different self-catering options - The Lodge, which sleeps up to 6 people and The House which sleeps 12 people. 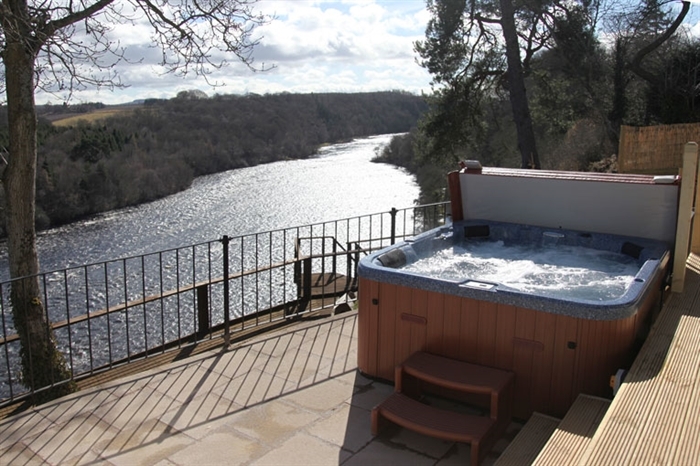 Both with outdoor Hot-tubs and stunning views of the River Tay. A very Warm Welcome awaits you at Horsey Reach. Located on the outskirts of Stanley, just 7 miles north of Perth, high on the banks of the mighty River Tay, it is the Ideal location to explore Perthshire and beyond. 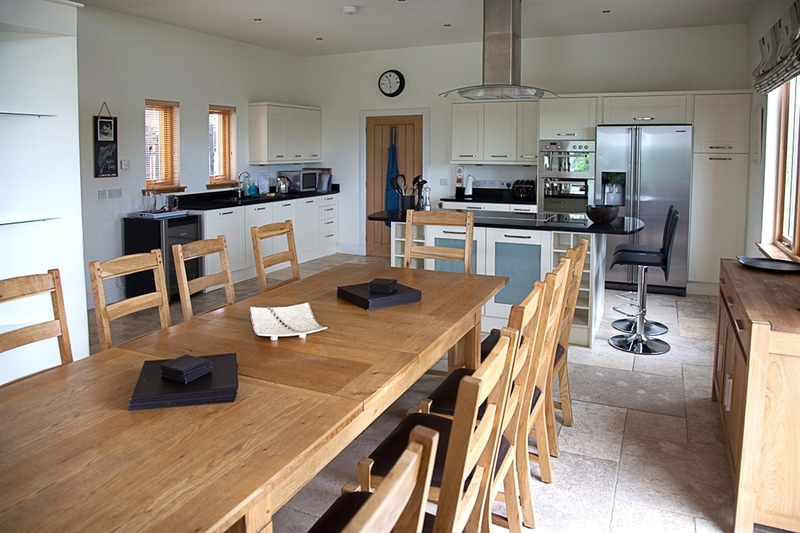 Horsey Reach House sleeps 12 people in 6 double bedrooms, all with ensuite facilities. 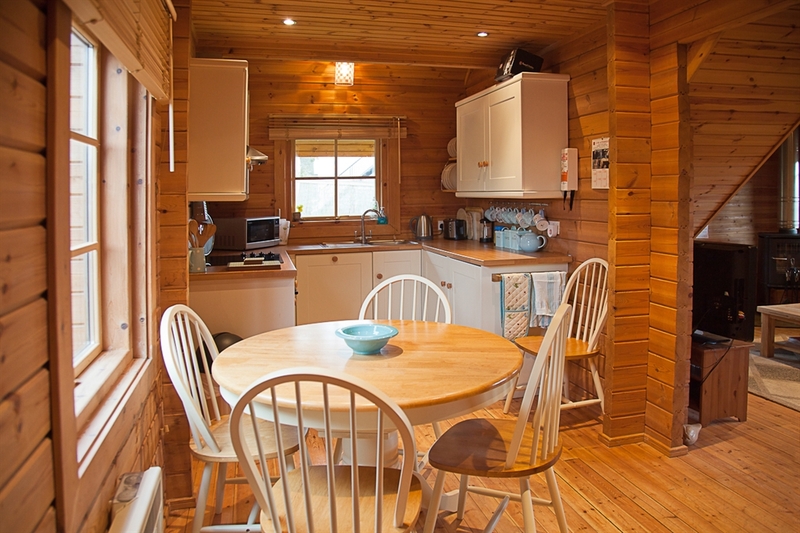 Horsey Reach Lodge sleeps up to 6 people in 3 bedrooms, one with ensuite. The House is a large light-filled space with an open-plan living/dining/kitchen area, ideal for groups of friends or family gatherings. All the bedrooms have their own ensuite bath or shower room(some have both), and each bedroom has its own TV and DVD player and iPod docking station - allowing everyone their own space. In the main living room there's a stunning, contemporary wood-burning stove, a large TV with Sky+ and DVD player, a hi-fi, an iPod docking station and a well-stocked bookcase. The kitchen is equipped with everything you could need, two fridges and a wine-cooler, dish-washer, large hob, double-oven and microwave. And the utility room allows you all the convenience of home - washing machine and tumble dryer and there's an indoor drying pulley and a whirlie outside. Outside there's a large gas-barbeque, outdoor seating for everyone and, of course, that hot-tub. 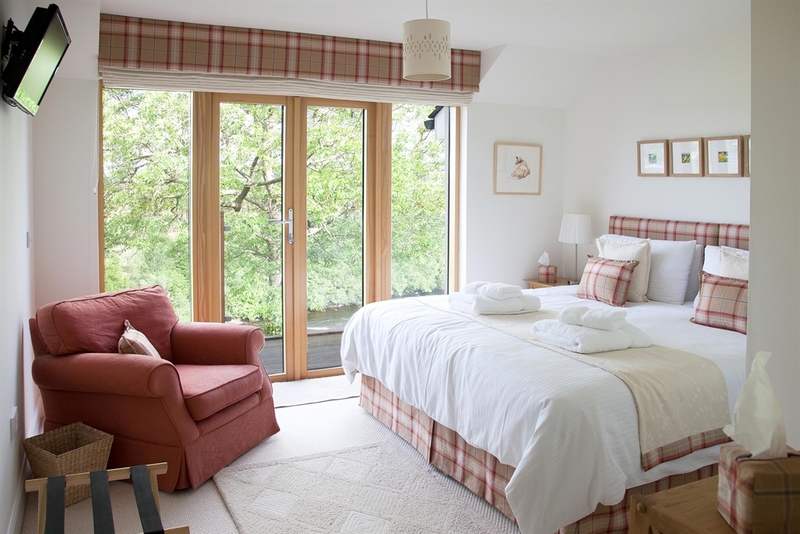 All of the bedrooms have views of the river and most of them have outside access. 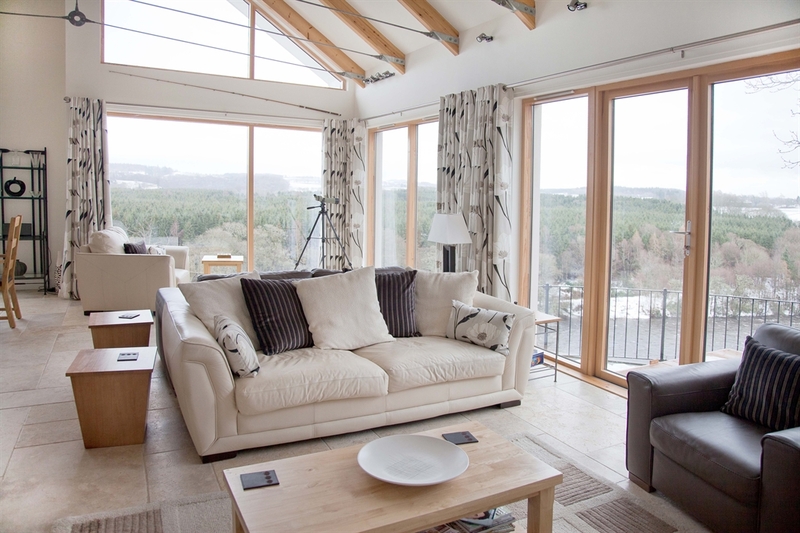 The Lodge is ideal for smaller groups of friends or family or it can be the ideal getaway for two. A private balcony off the master bedroom on the first floor has the best views of the River Tay. And the wood-burning stove gives a real air of romance. Outside there's a small enclosed garden and that all-important hot-tub. All linen, towels, luxury toiletries, use of the hot-tubs, electricity, heating are all included in the rate.